NEWS: it is raining at Tiny House Ontario and has been for some number of hours according to those who are living nearby. WOOT WOOT! I will worry less now! Sadly, I think even a solid week of rain will not make a lot of difference to farmers at this time; the rain will still save a lot of trees, I hope! When I was last there a few days ago sitting out on the cloth porch we watched through the cloth on the other side. There were praying mantis insects under the solar LED porch light and they were collecting the night light bugs. We have a lot of night bugs. In discussion about the large number of mosquitos I came to the conclusion that I might just be able to do something natural to impact this a little bit. 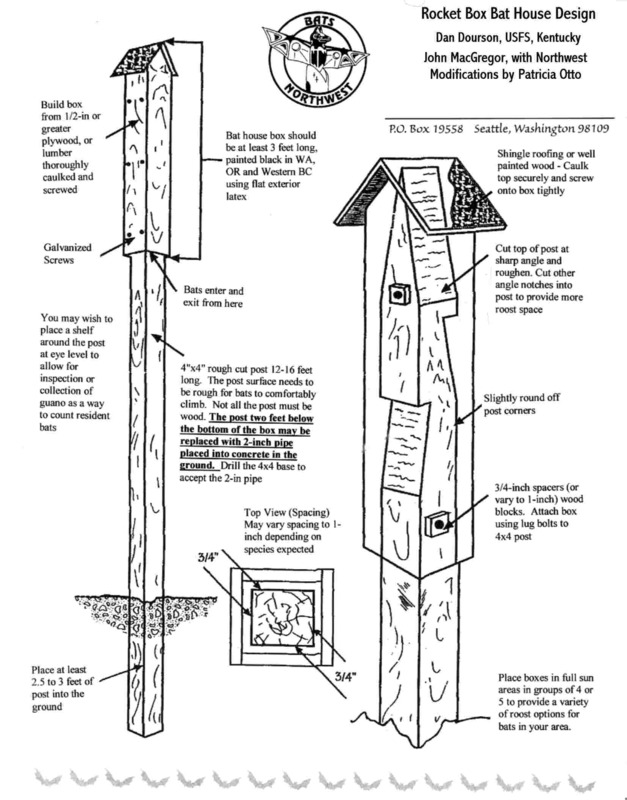 I am not sure if it is as simple as build it and they will come, but even so a young friend of a friend suggested building and bat house in order to help with decreasing the mosquito population. This looks totally simple! I don’t have any 4×4 boards at THO at the moment but they are not too hard to come by. Another problem is digging that deep in the forest because of roots and also because of the limestone. Still, I think that it might be fun to have some of the little winged mice nearby and it will be great if this works and it decreases the mosquitos! Thank you, Cameleon, for the idea!